There is a new picture/video trend taking the World by storm: GIFS, and now Triad Photobooth Rental is on it. Thanks to our new Social Photobooth we are able to give our customers the option to make their very own GIFs. GIF stands for graphic interchangeable format and there is a big debate over how to pronounce it. After some research, I found this video and have concluded that GIF is pronounced “JiF”. Now that the mechanics are out of the way, let’s talk about what this feature means for our clients! Animated GIFs add a whole new and fun aspect to the photobooth experience. Forget about regular pictures, and show off your moving image to friends and family. Graphic Interchangeable Formats allows us to really set ourselves apart from other North Carolina Photobooth Rentals. By turning three images into one moving picture, we can bring something different to the table for our clients! Have a look at some of these GIFs below and start practicing your poses. 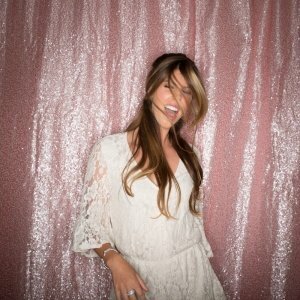 Contact Triad Photobooth Rental for a photobooth in the Triad Area that will set your party apart from the rest.